I haven’t trooped to BGC to try CBTL’s 26th St. 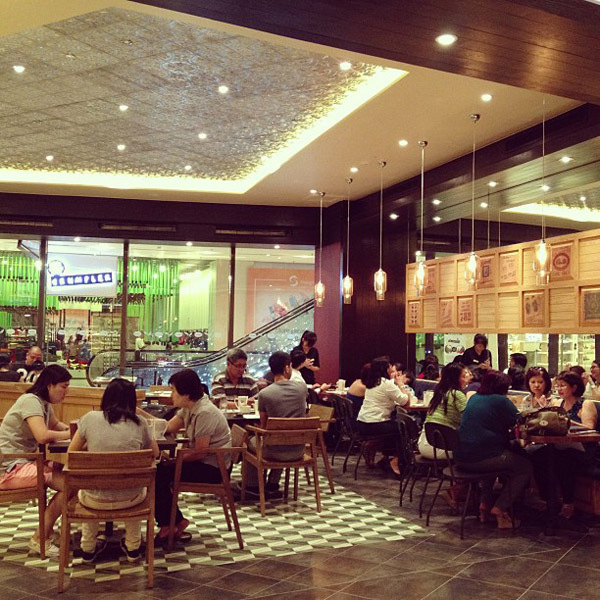 Bistro but when it opened its 2nd outlet in Shangri-la Plaza, I got my chance. 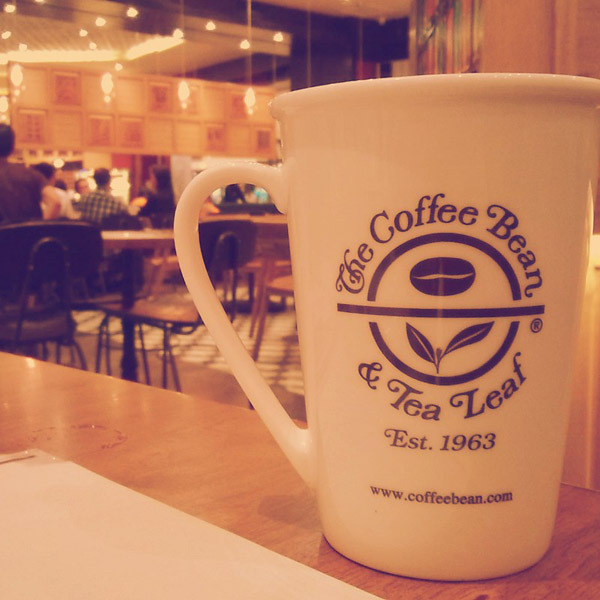 As it is, I am a CBTL fan so when the bistro opened, I knew I would love it as well. I had dinner with the parental units and didn’t have a camera with me thus the not-so-great photos in this post. I never write about food using photos from my phone but today, I’m making an exception for CBTL’s 26th at the Bistro because it is THAT good. Say heeeeey to my massive mug, hot drinks at the bistro only come in this size so you can imagine my surprise. I am a gigantic fan of CBTL’s tea lattes and the Anniversary Blend is now part of that group. I loooooved the fruity taste of this blend and it is a good change to my usual chocolate-tasting Moroccan Mint Tea Latte. I hope they keep this in their menu and not let it be a seasonal drink. It’s hard to find the words to describe how much I enjoyed this stack of pancakes but I will try. 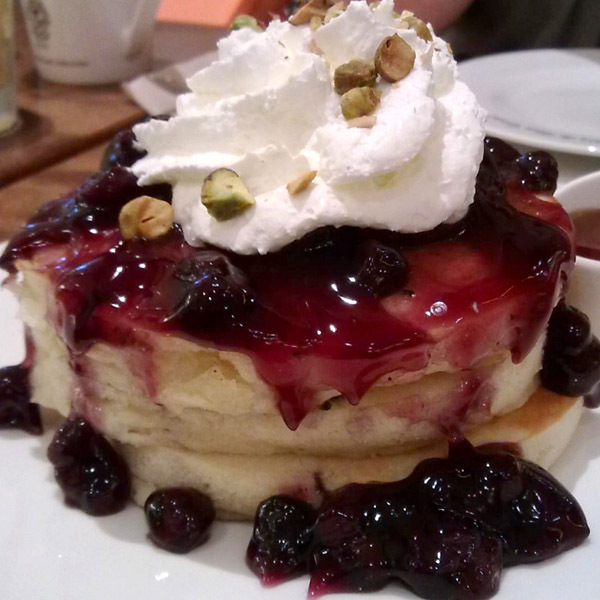 The fluffy pancakes had canned blueberries but despite that, it still tasted deliciously awesome with the roasted pistachios. The pancakes were full of flavor already that I didn’t even use maple syrup. This dish is freaking divine. I would gladly take all the calories that come with risotto. The crust of the salmon was an explosion of flavors and texture and this is just the salmon; it hasn’t been devoured with the risotto yet. 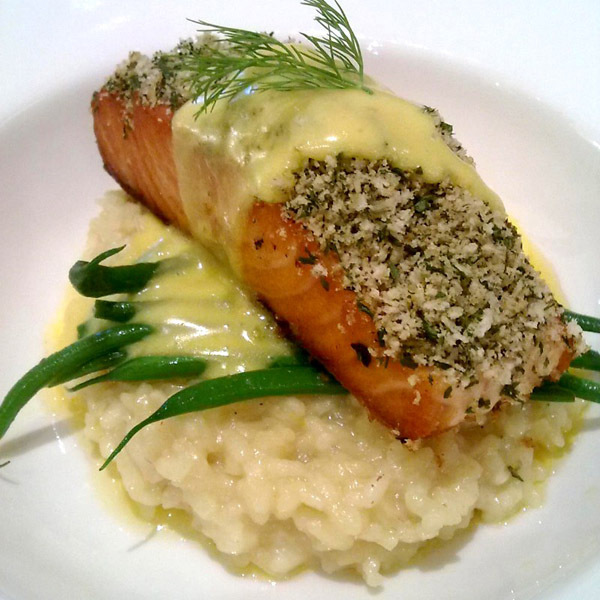 Grab a spoonful of the salmon and risotto together and it’s a party in your mouth. The salt and peppery taste of the salmon is the perfect partner for the savory and saucy risotto. It’s rather pricey for café food but by God it is scrumptious. My peeve about the new wing of Shang is they don’t have enough windows to let natural light in. Restaurants like this and Maple would look ten times better with natural lighting. I think a trip to BGC is calling me to check out the first branch. My photos and words don’t do justice to the CBTL 26th Street Bistro experience. This bistro deserves a better blog post from me and mark my words, I will be back! 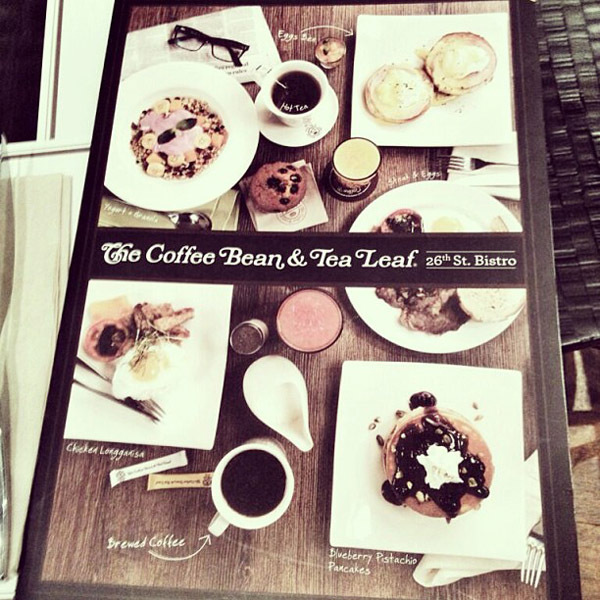 * Additional photos from Coffee Bean & Tea Leaf Facebook page.